During World War II, Luis W. Alvarez participated in the Allies’ development of radar at the MIT Radiation Laboratory, and of the atomic bomb at Los Alamos. He then worked as an experimental physicist on cyclotrons, particle accelerators and bubble chambers at UC-Berkeley with Ernest Lawrence. Later in life, he used cosmic rays to “X ray” an Egyptian pyramid, developed a new theory about the extinction of the dinosaurs, and won the 1968 Nobel prize in physics for his work on elementary particles. 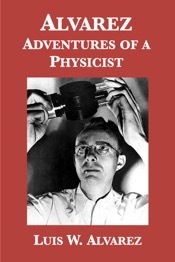 In this autobiography, Alvarez shares insights on the process of scientific discovery, risk-taking in science and how theoretical and experimental physics interact.